Posted on 09/11/2016 by regardingtess	in Interview, Live Review and tagged Americana, Groves, heartland, indie rock, Interview, Strathmore Music Center, Texas. Three musicians. Two tracks. One relentless engineer. A chance encounter is sometimes the only thing standing between center stage and obscurity. For an alt-rock trio hailing from the tiny town of Groves, Texas (population 16,144) attempting to make it big in the City of Angels, Courtney Ballard was that celestial savior -– if of course you believe in that sort of thing. Groves does. In fact, they told Live Nation TV earlier this month in a tour diary that “taking that meeting was one of the best decisions they’ve made yet” in their career. That encounter has led to a tour with Culture Club that ends tonight at Strathmore Music Center in Bethesda, Maryland. “We were playing a show in Los Angeles at the House of Blues and their in-house engineer approached us and was really adamant about us coming by the studio that he worked in,” said singer and guitarist Stephen Salisbury. It just so happened to be owned by Benji and Joel Madden, twin brothers and founders of the Maryland-based pop punk band Good Charlotte. Ballard’s tenacity prevailed and after a couple weeks, Stephen and his bandmates — drummer Will Smith and bassist/synthesizer player Reid Guidry — visited the space and recorded a couple tracks. “It was sort of a long process. It wasn’t overnight,” the singer stressed. Since releasing the songs, “Everything has kind of picked up speed and been on the fast track. Even their own company -– it wasn’t even in a company yet. We were kind of one of the first artists to land in the new direction that Benji and Joel were going to be taking.” In many ways, they’ve grown together. The client list includes acts like Jessie J, Sleeping with Sirens, and Potty Mouth, all expertly curated by the artist development & management company MDDN established by the Maddens. It is a testament to the Groves’ unique creative direction, one that has a “lot of different flavors,” according to Stephen. People -– like the iconic Boy George of the award-winning band Culture Club -– were taking notice and liked what they saw and heard. So much so in fact, Culture Club contacted MDDN and requested Groves open for them on a 38-date North American tour. “It’s kind of a rare occasion -– it is not often that a relatively new band can do this many shows with an icon. So we’re trying to play close attention, learn a lot, and have as much fun as we can, while also enjoying it. It’s definitely been the most fun of our lives,” said Stephen. “The fact that we’re even able to do a tour with only two songs is pretty amazing, so we’re very anxious to get home and put some more music out for everyone,” Stephen said. While the band has already recorded a number of songs for their inaugural album, they have “immediate plans to get back into the studio” after tour ends. 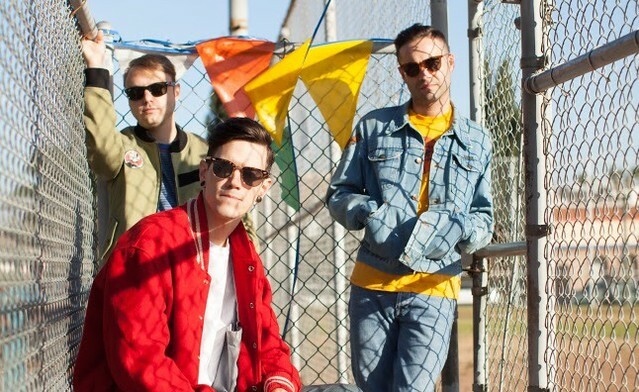 Stephen expressed a sense of anxiousness about wrapping up the band’s “first legitimate release,” but acknowledge they couldn’t pass up this once in a lifetime opportunity. Here’s what fans can expect; while there’s not necessarily an overall “concept” per se, there is an overarching message that permeates throughout. “A lot of the songs really came out of just believing in yourself and really following what you want and not settling for less. I think they’ll really inspire because we were trying to inspire ourselves when we were writing them,” the vocalist explained. Currently there is no definitive release date for the planned record. Tickets are still available for tonight’s show at 7:30pm and can be purchased here.